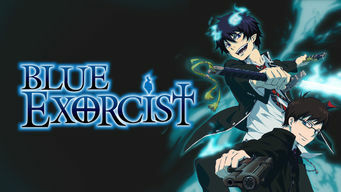 How to watch Blue Exorcist: Season 2 (2011) on Netflix USA! Sorry, Blue Exorcist: Season 2 is not available on American Netflix, but you can unlock it right now in the USA and start watching! 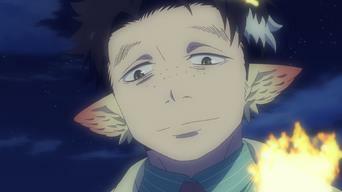 With a few simple steps you can change your Netflix region to a country like Pakistan and start watching Pakistani Netflix, which includes Blue Exorcist: Season 2. 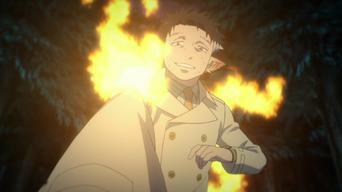 We'll keep checking Netflix USA for Blue Exorcist: Season 2, and this page will be updated with any changes. 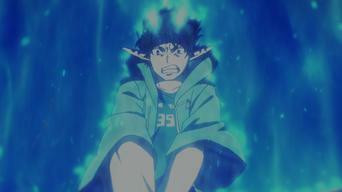 Blue Exorcist: Season 2 is not available in USA BUT it can be unlocked and viewed! 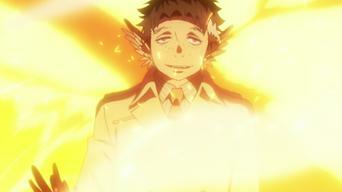 Season 1 of Blue Exorcist has 26 episodes. Because different Netflix countries have different availability for episodes, you'll need to check the episode listing below to see which are available in the USA. 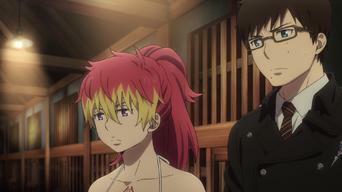 As his twin brother, Yukio, starts school at the prestigious True Cross Academy, Rin begins to worry about his future. 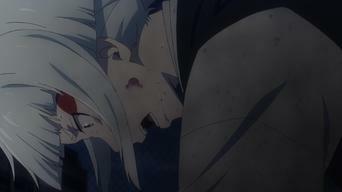 Warning him that he must never draw the Koma Sword, Shiro gives it to Rin and hides him in the monastery basement. Vowing to become an exorcist, Rin is taken to True Cross Academy by the mysterious Mephisto, a friend of Rin's late father. When Yukio takes on a case, Rin tags along with him to the Exorcism Supply Shop, where he meets a girl with ailing legs, tending her garden. Suguro is striving to become an exorcist so he can restore his family's temple, but being classmates with a slacker like Rin is intolerable. Taking Yukio's advice, Rin starts cooking in the dorm kitchen, preparing lunch the night before. But in the morning, all the food has vanished! 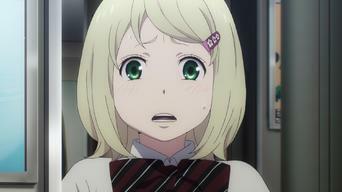 To overcome her shyness, Shiemi secretly vows to make friends but is hindered by her clumsiness. Crushed by her failure to save her best friend, Izumo lashes out at Suguro. When their bickering escalates, the whole class is sent to detention. Fighting together for the first time, Rin and the others face a harrowing attack and are confronted by Mephisto and the Cram School teachers. 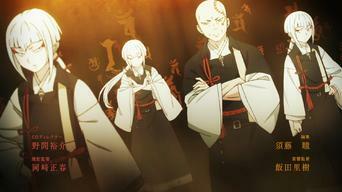 When the familiar of the Knights of the True Cross goes berserk, Yukio is summoned to handle the crisis. When Rin, Shima and Izumo meet a boy named Yohei, they learn about the Demon of the Deep Seas, who took his father's life. The class investigates ghost sightings at an amusement park, where Rin and Shiemi find the specter of a child. Dragged off to the underground base, Rin learns that Shura was once Shiro's disciple -- and that Shura has targeted him for elimination. Summer vacation begins, but there's no break for Rin and the other ExWires as they must participate in a drill to get ready for real combat. Suguro's joint strategy pays off for the ExWires. But later, a giant moth demon appears and attacks Rin. Consumed by the power of his flames, Rin goes berserk! He regains control of himself, only to be captured by the current Paladin, Angel. As the hearing drags on, the Order is unable to decide Rin's fate as Mephisto has proclaimed him "a weapon for counterattacking Satan. When a demon swoops in on Rin as he's training to master his flames, the Cram School members are sent to investigate how it infiltrated the academy. After discovering that Izumo's birthday is just around the corner, the Exorcism Cram School students decide to throw her a surprise party. Southern Cross Monastery, where Rin and Yukio grew up, comes under attack by a mysterious assailant, who leaves behind a cryptic message. The assailant has escaped, but things are getting back to normal after the monastery attack. Meanwhile, Yukio receives a surprise visitor. In light of the recent incidents, Mephisto and the order's Supreme Advisors are ousted, paving the way for Ernst to become pope. Ernst is scheming to invoke the Gehenna Gate by using Rin's blood. 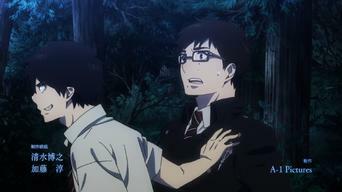 To protect his wounded brother, Yukio offers to take his place. Hordes of demons spill out of Gehenna Gate and randomly attack the people of True Cross Academy Town. With help from Shura and Angel, Rin and Yukio attack the gigantic Gehenna Gate. But it's an uphill battle against Satan's overwhelming power. His feelings hurt, Rin's cat familiar, Kuro, runs away from home and searches for a new master. Season 2 of Blue Exorcist has 12 episodes. Because different Netflix countries have different availability for episodes, you'll need to check the episode listing below to see which are available in the USA. The theft of the Impure King's Left Eye disrupts Rin's training. To protect the Right Eye, the exorcists head to Kyoto. The group arrives in Kyoto and heads to Suguro's family inn. Most of the field office staff are injured, and everyone is under suspicion. 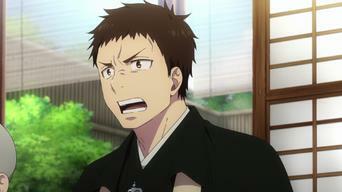 Yaozo calls a meeting to attempt to root out the traitor in the Myoda sect, with suspicion falling on Suguro's father Tatsuma. Suguro spots Juzo entering the Deep Keep, and overhears Mamushi declaring herself to be Todo's partisan. Suguro is still suspicious of his father. Rin is thrown into solitary confinement, where Yukio reads him a letter from Tatsuma. With both Eyes stolen, Yaozo calls a meeting. Tatsuma's letter tells the story of how Fujimoto obtained the Koma Sword years ago. In the present, Todo and Mabushi arrive at the Goma Chapel. The Impure King lives again and the Vatican has sentenced Rin to death. His classmates try to break him out, and it all comes down to Shiemi. As the miasma spreads through Kyoto, everyone heads for Rakuhoku. Rin and his classmates look for Tatsuma, and Yukio encounters a changed Todo. Todo taunts Yukio about his true feelings towards his brother. 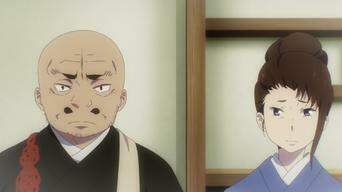 Suguro accepts a contract with the Goha-en, and he and Rin search for the Impure King. The Impure King emerges as reinforcements arrive to help Yukio. Suguro, Rin and Kuro are trapped inside the barrier, and Rin can't draw the sword. Todo just won't stay dissolved. Though Rin manages to draw the Koma Sword, the Impure King is too strong. When all hope seems lost, Ucchusma appears. Rin's blue flames have cleansed the area. In the aftermath, it's time for sightseeing, a heart-to-heart talk, and a discussion about Rin's future.